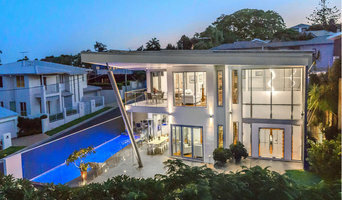 We combine our experience and enthusiasm for the enviable Queensland lifestyle to create homes that boast style, liveability, quality and remarkable value. Kalka-built homes allow you the flexibility of selecting from a variety of exceptional designs that we have developed and refined over a number of years. Many of our clients deem these to be the best-designed small-lot homes in Brisbane. Our homes deliver modern style by way of design, materials, features and fixtures, with careful consideration given to practicality and, importantly, our Queensland climate. Architects Alexandra Buchanan Architecture (ABA) are a boutique architecture and interior design practice formed in 2011 by Architect Director Alexandra Buchanan. With studios in Brisbane & Melbourne we have projects along the length of the Eastern Seaboard of Australia. 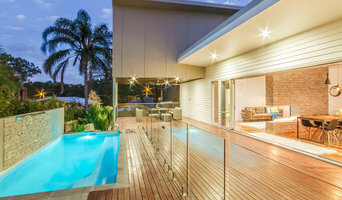 Specialising in residential design, the practice has over twenty years of collective experience in the practice of architecture both in Australia and overseas. The studio operates across a broad range of typologies located in diverse & challenging environments. Having undertaken projects in coastal, urban, rural, tropical & temperate regions, every new project presents a unique set of challenges that we relish the opportunity to resolve, regardless of the project scale or complexity. With a portfolio that spreads along the length of the East Coast of Australia & Internationally, the practice is skilled in delivering highly crafted individual dwellings, hospitality & interior projects that are timeless, memorable and much loved by our clients, enriching the lives of all those that experience them. We design with a social, cultural and ecological conscience, always, to create environmentally responsible projects that delight & enhance the human experience. Architecture and building delivery is a naturally collaborative process. Making the most of this ABA combines a unique team of highly skilled individuals from a diverse range of cultural backgrounds and educational experiences from Japan, Australia and the UK that bring a greater depth and richness to our design processes and ultimately our projects. With this our team are focused on creating dynamic environments & encouraging appropriate, progressive and collaborative design processes for every project. We are a Revit based practice, which means that our 3D computer modelling software very quickly enables our clients to visualise design concepts allowing for a genuinely collaborative experience. Arcke is a dynamic architecture practice that concentrates on creative projects in Brisbane. Our projects are personal both in their scale and approach. The studio fosters a strong design focus. We deliver well-resolved and considered projects that address the practical requirements of our clients through innovative architectural exploration and collaboration. Our projects have been featured in Home Beautiful, Habitus, InsideOut, HomestoLove, The Design Files and Brisbane News. Our Rosalie Plinth House has been featured as a Houzz Tour. We provide a comprehensive service that begins with site and spatial analysis, before we start the process of design and documentation. We then move onto negotiating with a contractor and can supervise the entire construction providing quality and cost control for our clients. A high value is placed on the ingrained history of existing buildings and spaces. Where possible we re-interpret existing spatial relationships and integrate recycled materials. This celebration of the inherent character provides inspiration for the design of textural and functional spaces. 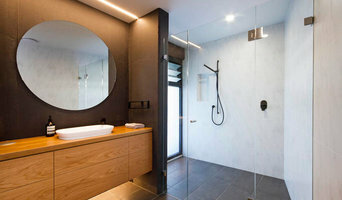 We design all internal and external elements for our projects including cabinetry as well as specifying quality fixtures and fitting from tiles to tapware. 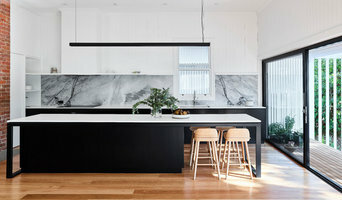 Bones Studio is a boutique architecture and interior design practice servicing Queensland and New South Wales. Its directors Chris Brandon and Allana Chiu are registered architects with over 25 years of combined architectural and interior design experience across a range of typologies including residential, commercial, retail and hospitality. We provide architectural and interior design services through the various stages of briefing, concept design, documentation, tendering and construction stage administration services in a package tailored to suit the needs of your project. All projects begin with you, our Client. You become an integral part of our design team contributing to a collaborative and dynamic design process that results in a personalised and bespoke design solution. For any project we undertake, we aim to foster and maintain strong relationships with our clients and consultants alike, by providing a professional service from conception through to project completion. We have a network of like-minded collaborators in the fields of interior, graphic, and industrial design, as well as various artists working in diverse mediums. Through collaboration we can offer a total concept. TMarshall Design is a multifaceted design studio based on Brisbane's Bayside. We specialise in all aspects of residential development. Studio 15b is a boutique architecture & interior design practice based in New Farm, Brisbane. We provide a personalised service and practical approach to each project. The team at Studio 15b draws on a wide variety of experience over many different building types. We have built a strong reputation on commitment to design of custom homes, multi-residential developments and business fit-out projects. Always ensuring the design intent is maintained right through to construction. We have a large range of skills and aim to provide you with a design that is architecturally beautiful, yet fulfils your requirements. Founded in 2006 TONIC Design focuses on architectural + interior design outcomes that reflect careful planning and thoughtful execution. With a commitment to innovation and designs with longevity, we work collaboratively with clients in an environment that encourages new ideas and learning. MRD Studio is a Building Design & Drafting service, our focus is to provide exceptional quality in all aspects of design and documentation while incorporating sustainable building design principles. We help our Clients to achieve successful outcomes through effective We have completed a broad portfolio of work ranging in scale, type and complexity. We relish the challenges each project presents and value the relationship formed with all stakeholders throughout the process. All Plans at MRDstudio are designed and drawn in the latest AutoDesk Revit 3D program that allows our clients to view the plans in 2D & 3D to help visualise what the building will look like prior to construction starting. Pre-Project Consultation At no cost to you, come and discuss your requirements in our office with a FREE 30 minute Consultation. Or; we offer a choice where, for a small fee, we will meet you on site to discuss your project, its application, feasibility and the steps you will need to undertake to successfully complete your project. Design Schematic/Concept Using your requirements and sound design/construction principles we will produce a schematic design and work with you, and other required consultants, to develop a design concept for your new home, renovation, townhouse or unit project that will balance your outcomes with the practical needs of your site. Development Applications From character and small lot plan assessments through to material change of use applications, for your unit, townhouse or commercial project, we can produce documentation, liaise with the required consultants and follow your project through the application process. Construction Drawings A comprehensive and detailed set of construction drawings will not only make the building certification (approval) process easier but may assist you with obtaining more accurate quotations from builders and help in avoiding unrealised expectations and cost variations during the construction phase. COMPLETE HOME DESIGN SOLUTIONS From concept to completion, we are the go-to team to inspire you and create beautiful home designs. Whatever the building challenge, idea, or need, we are ready to design for you. 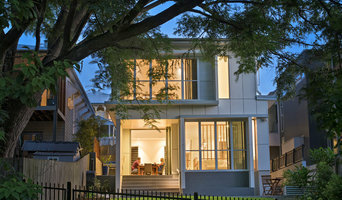 Synergy Building Design is a Brisbane based home design studio. We are a group of designers that are in touch with the latest industry and consumer trends and are an authority on all things residential. Vad en arkitekt gör vet de flesta, de ritar givetvis hus och andra byggnader. Ibland kallas de vi kallar för arkitekt för husarkitekt eller byggnadsarkitekt för att särskilja dem från andra typer av arkitekter som är inriktade på till exempel inredning eller trädgård. Arkitekten är helt enkelt den som lägger den allra första grunden för hur byggnaden ska se ut, ofta tillsammans med den som vill bygga huset. Att kontakta en arkitekt i Taigum, QLD, AU är med andra ord för många en bra idé, inte minst om man som sagt går i tankarna om att bygga ett hus. Tillsammans med arkitekten kan man komma fram till exakt hur det ska se ut, och det är arkitekten som kan förverkliga ens tankar och idéer. Man kan även visa några inspirationsbilder för dem som man gillar, och så kan de sen se till att göra det personligt så att det passar efter exakt era behov. Det är med andra ord viktigt att man hittar en arkitekt som jobbar på ett sätt som passar en, så att man får ett perfekt resultat! Bor du i villa och ska bygga ut kan det vara en bra idé att försöka hitta en arkitekt i Taigum och få arkitekthjälp med att rita utbyggnaden så att det blir helt korrekt och enkelt när byggarna ska sätta igång, till exempel. Att rita byggnader, oavsett om man ska bygga ett helt nytt hus eller en utbyggnad, är ingen enkel sak utan det är minst tusen saker som man måste tänka på, det har de som har sett arkitektritningar nog märkt. Att vända sig till en kompetent arkitekt är därför ett måste. Det är också bra för att få arkitekturen på utbyggnaden att gå i linje med det övriga husets arkitektur. Förutom vid tillbyggnad så är det såklart en arkitekt som du kontaktar när du vill bygga ditt alldeles egna drömhus, att få hjälp på traven av en riktig expert som kan göra ritningarna och bidra med sin kunskap är ett måste. Hur utbildar jag mig till arkitekt i Taigum, QLD, AU? Hur väljer jag rätt arkitekt i Taigum för mitt uppdrag? Söker du en arkitekt i Taigum, QLD, AU hoppas vi att du helt enkelt hittar Sveriges bästa arkitekt, för just dina behov. Nu är det bara för oss att önska dig lycka till, och glöm inte bort att vi på Houzz finns här för att hjälpa till och hålla dig i handen om du behöver oss!